Once again, we head into the molten landscape where one must learn to differentiate between actual reality and blatant fraud with gross misrepresentation. A world that continually attempts to rewrite history in order to fit a production company/cable networks needs. We’ve already been exposed to more than ten years of fraudulent paranormal reality shows like Ghost Hunters, Paranormal Witness, Ghost Lab, Haunted Collector, and the Paranormal Activity movies, just to name a few. These series were simply the efforts of clever, sleazy producers creating very cheap unreality shows for the ignorant masses. And as most of the world has no formal scientific or parapsychological education they might really believe what’s appearing on their TV. 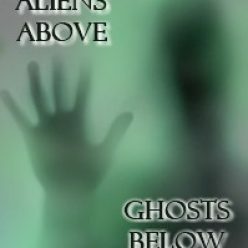 And while those shows are now known by many to be nothing more than mindless entertainment for uneducated audiences, newer, more sophisticated versions of alleged paranormal reality shows have now emerged that have lowered the bar well below the ground, often mimicking The Blair Witch Project hoax. The newest manifestation of this genre is the “mockumentary”, where seemingly real scientists (who in reality end up being actors hired through online casting calls) go out to explore, investigate and document extraordinary events such as mermaids and Megalodon Sharks. Although appearing on different cable networks, these mockumentariers have tried to persuade audiences that what they’re seeing is real, when it’s all been fabricated and staged for the benefit of the camera and audience. But even after these mockumentaries have been exposed as lies, audiences keep watching, which is why such shows often generate sequels to carry forward such misinformation to dumb down the public even further. Bottom line here is that these production companies create whatever they can sell. If it just happens to be a lie, who cares? They’re all making good money off such programming. The newest incarnation of this disturbing trend is a show called Russian Yeti: The Killer Lives, that recently aired on The Discovery Channel. As you’ll discover below, this latest mockumentary is just another foolish attempt at re-writing history to suit their needs. And boy, did they fail. Another disgustingly fraudulent, found footage series that little, if anything, to do with reality. Read on to discover what the real case was about. In 1970, a picture was taken of a typical spherical, disc-shaped UFO near Kholat Syakhel, a mountain in the Urals of Russia. 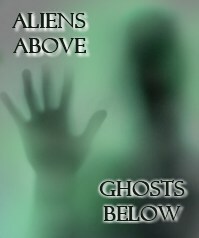 There was nothing remarkable about the picture from a Ufology standpoint. Yes, it was a clear, good photograph, but this field of research already has so many of those that it doesn’t stand out, one way or the other. But it was taken in an area rich in UFO lore, and more importantly, Kholet Syakhel, is where a most unusual event took place eleven years earlier. An event that resulted in multiple deaths, and one where the police proclaimed was due to an “invincible force of nature”, whatever that means. Kholat Syakhel translates into English as “Mountain Of The Dead”. A name given by the Mansi people who consider the mountain sacred and a place where spirits gather and dwell. Whether Igor Dyatlov knew about the mountain’s reputation is unknown. What we do know is that he departed with nine others in early February of 1959, and shortly thereafter, they all perished, victims of that invincible force of nature. The idea was to “ski trek” to Otorten Mountain. Dyatlov was an experienced guide, and the others, students and former students at the Ural Polytechnical Institute, were all experienced as well, so when the group failed to return, a search party was immediately sent out. The description below is entirely based on the official police report and the search party’s actual testimony. The group and their camp were easily located. The camp was in total disarray, tents torn and all dead, some close to the camp, while others were found further down the mountain. They were obviously running from something. But what? One man was found to have died of exposure, but the others showed signs of severe internal trauma, and the police stated that at least some of the victims rushed out of their tents and tried to flee. A tent was found ripped from the inside and footprints leading away, clearly running. The closest body to the tent was Zinaida Kolmogorova, one of the two females in the group, lying face down in a pool of her own blood. In my new book (The Presence: An Exploration Into the Paranormal), I claimed that there was only one woman in the group, but I was in error. Separating fact from fiction in this case has proven somewhat difficult. I do not speak Russian and thus have to rely upon translation from various sources for this story, and some unfortunately aren’t as accurate as others. In a sense, writing this article has allowed me to re-check many of the facts associated with this story, which has led to further welcome insight. Next, was Dyatlov’s body (above photo), found with a cracked skull, but no external visible damage to the head. Further away were three more bodies, found with broken skulls, broken ribs, and severe internal bleeding, but minimal damage to soft tissue. 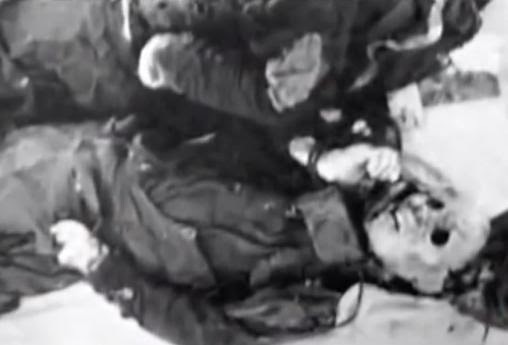 Dr. Boris Vozrozhdenny, who conducted the autopsies, stated that the force necessary to induce the type of internal trauma was comparable to an automobile crash. He also, rather enigmatically, stated that it was as if they had undergone some kind of high-level pressure. However, he did not elaborate further on this point. Perhaps the more intriguing of the bodies was that of Lydia Dubinina. She was found a considerable distance from the campsite kneeling against a boulder. I originally assumed that some of her reported injuries were nothing other than fiction, but as it turned out, they appeared to be quite accurate. The bodies all had an orange tint to them that the police could not explain. In fact, Yuri Kuntsevich, head of the modern Dyatlov Foundation and 12 years old at the time, who was present at several of the funerals, mentioned how the bodies had a strange color to them. As a result, Kuntsevich would later start the Foundation in order to convince the police to re-open the investigation, and hopefully get to he bottom of this mystery. Their clothes also contained extraordinary levels of radiation. This was confirmed by forensic analysis. One of the officials on site also stated that some tree branches in the area were burnt. But those branches were too high up for the burns to have been caused by fire, and thus the cause remains unknown. 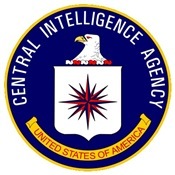 One of the earlier theories was that the hikers deaths were due to Soviet military tests of some type of weapon. Certainly a plausible theory, but it would still need to explain what caused the hikers to panic, going as far as cutting a hole in a tent and escaping barefooted. What kind of experiment would leave no physical trace, aside from radiation? Moreover, I do believe that this theory is worth exploring further, as the Soviets were conducting nuclear weapon tests in various locales back in those years. 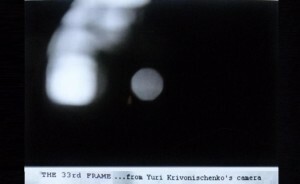 Police officer Lev Ivanov, who led the investigation in 1959, claimed that high-ranking officials told him to close the case and to keep his mouth shut on the matter of the flying, luminous spheres that were seen in the area. He revealed this in 1990 and went on to say that they had no explanation for the events, but he believed that UFOs were somehow involved. Back in 1959, the police interviewed some of the local people in the area who told the officials of numerous orange, luminous, spheres seen flying above the mountains on the night of the tragedy. The objects were completely silent. 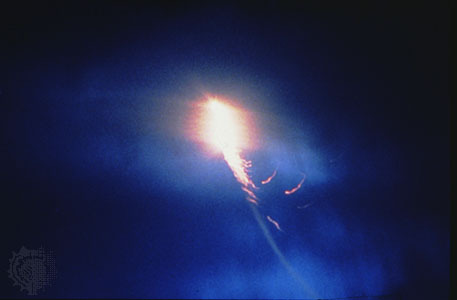 Furthermore, the search party also witnessed an object in the sky that they called “fiery”; a sighting that lasted as long as twenty minutes. 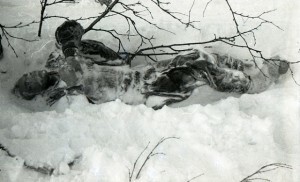 Nowhere in the original report or in any of the subsequent interviews by parties involved, was there ever a mention of the Russian Snowman as depicted in the recent Discovery Channel show, Russian Yeti: The Killer Lives. There was absolutely no evidence of any unusual large tracks anywhere near the campsite, only footprints from the terrified hikers. There certainly were “naked” footprints, as well as footprints in socks, but all belonged to the hikers themselves. And therein lies the true mystery; no sign or physical traces of any kind were found on the ground that indicated any type of danger. The only thing pertaining to the Russian Snowman that was factual on the Discovery Channel show is that there have been thousands of reports of such animals in Russia and central Asia, dating back to antiquity. These creatures, commonly known as Almasty, are mainly known from the Caucasus Mountains, Pamir Mountain range and yes Siberia, where they are sometimes known as Chuchunaa. The Siberian cave however discussed and depicted in the show, that was said to be the home of a Snowman, was proven to be a hoax (what a surprise?). It was a blatant attempt at luring tourists to the area. The Almasty is a fascinating subject, one in fact I devote quite a bit of time to in my book, but it has nothing whatsoever to do with the Dyatlov mystery. What about the picture of a Snowman that was featured in the show? When I initially watched the program, I assumed that the blurry photograph of an Almasty shown was hoaxed for the show, and no more than a mean wearing a furry costume. The arms are way too short, the head too small and the stance or posture that of a modern human wearing a stupid disguise for the show. Apparently the picture does exist, but its provenance is still murky. It may indeed have been hoaxed for the show, or it may even have been taken by one of the hikers, but really there is no indication that the photograph had anything to do with the events whatsoever. It is also extremely blurry, and by no means, clearly a picture of an Almasty. Again I reiterate, there were no tracks at the scene aside from the victims, and the mountain was covered with snow. 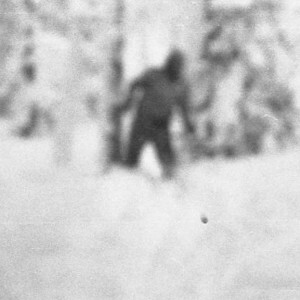 Alleged photo of the Russian Yeti. Arms are too short, head and hips are too small and the posture doesn’t fit what’s known about Almasty. Conclusion: some guy wearing a fur suit and head piece. There is another photograph that does show a strange roundish light that appears to be fairly close to the photographer, or even heading towards the ground. Again, blurry and out of focus, but those were the days prior to auto focus. But in light of the claim that strange lights were seen in the area around this time, the intriguing photograph is intriguing, nevertheless. The elongated object may be due to time lapse, which would indicate that the light is indeed moving towards the ground or the photographer. Unfortunately, without a frame of reference, this too must remain inconclusive. Looking at the UFO angle further, one cannot help but notice that from the Urals going east into Siberia and south into Kazakhstan, you’re looking at one of the most active UFO hot spots on the Earth. The Urals specifically, with an area the Russians call the M-zone where UFOs, large orbs of light at ground level, and strange alien creatures have all been reported. The M-zone is also an area of unusual geomagnetic anomalies, where people experience missing time, spontaneous and involuntary altered states of consciousness, and even healings. I cannot categorically say that the event of 1959 was UFO related, but in light of the area it took place in, the sightings of the spheres by multiple sources, the radiation found at the site, and so far, lack of answers, it may not be a bad place to start. Please write and email the various cable networks to inform them that you are sick and tired of all the frauds and hoaxes be perpetrated on their channels in order to make money from naive and gullible viewers watching their audio/visual lies. Remember, if we don’t complain, there will be no change.